"Located 20 minutes outside of Belleville Ontario. Our dogs are valued family members and live in our home with us. Our puppies are home raised with lots of love, attention and socialization and are available to approved homes. I am dedicated to breeding sound, healthy dogs both for show and pet homes and to my continued education of this beautiful breed. 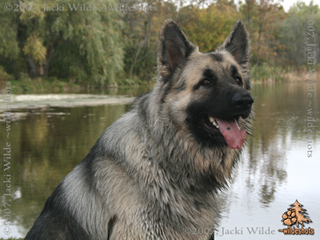 My goal is to breed dogs who meet the standard for size and temperament with focus on heavy bone and large heads. Of course health is a huge factor and all our dogs are health tested prior to breeding. Please see my website for more information and pictures. "